Pe’ahi Farms is a 16 lot agricultural subdivision on the North Shore of Maui. Over the years there have been some changes within the community involving building requirements, utilities, the farm, etc. The purpose of this article is to give a clear view of what Pe’ahi Farms has to offer. Pe’ahi Farms: That being said, Pe’ahi Farms has guidelines on the size and style of the home. The original minimum dwelling size was 3,000 sqft, after seeing what the North Shore market demands, Pe’ahi Farms has amended the CC&Rs (conditions, covenants, and restrictions) to allow a minimum main dwelling size of 1,500 sqft. We feel that this really helps in the start-up cost of building and creates more open space where it’s wanted. Another revision is that you can now build your cottage/ohana first, which will get you into a home on your lot for a lot less start-up cost. As for the design guidelines, they are simple rules keeping a clean and presentable look throughout the neighborhood. For a full list of those rules, shoot me an email. Creating a CPR: For more information about what a CPR (condominium property regime) is, look here. In short, executing a CPR creates two separate lots. 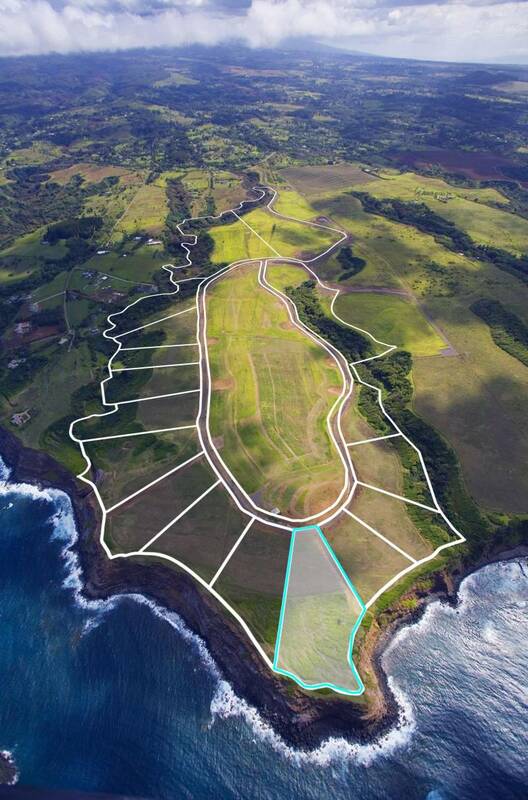 Pe’ahi Farms allows the CPR process within the development – not all subdivisions allow this. Allowing CPR’s, and giving the ability to build the cottage before the main house, creates the option to sell the cottage to fund building the main dwelling. Shoot me an email or give me a call and we can chat about this more. Specs: Pe’ahi Farms features two 300+ ft deep wells for fire protection and irrigation of the common areas. They both feed into a 90,000-gallon holding tank where the fire protection and non-potable water are held. From the top tank, the bottom tank a 16,000-gallon potable tank is filled where it’s filtered and ready for consumption. Per the hydrologist, the water that is brought to the surface by these wells fell on Haleakala 40 years ago, that’s a lot of filtering through lava rock. 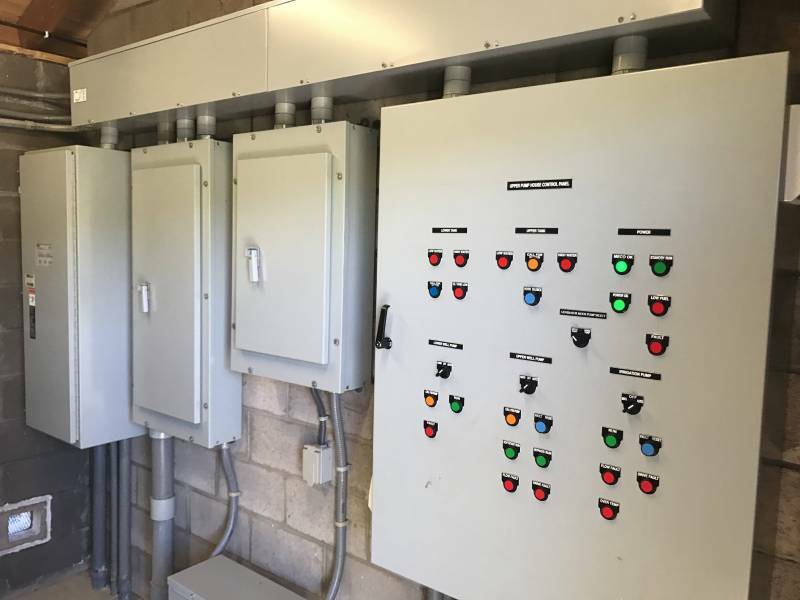 The system features a stainless steel Caterpillar generator for backup when the power is down, multiple filtering points and countless safety checkpoints. This is one of Maui’s most thorough private water systems. Cost: The water association fee is $250 a month. 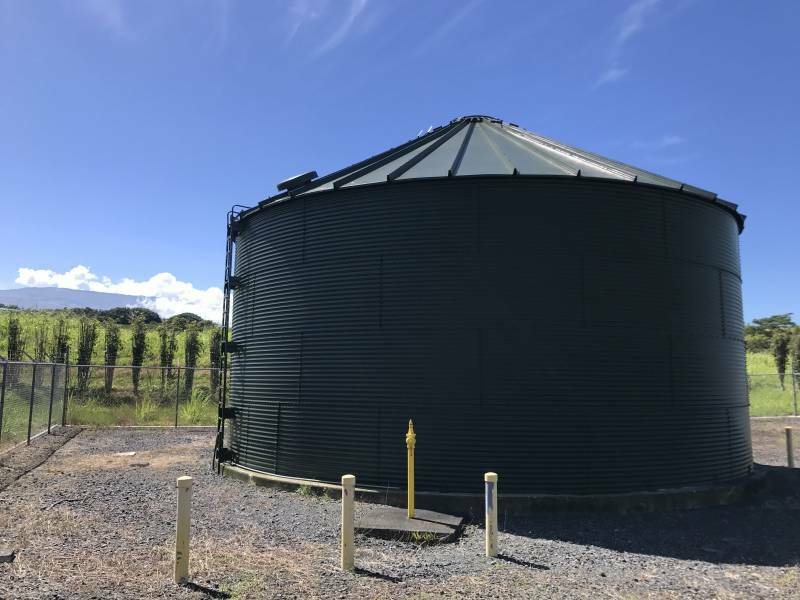 This covers 15,000 gallons a month in potable usage and 30,000 a month is agricultural use per lot. 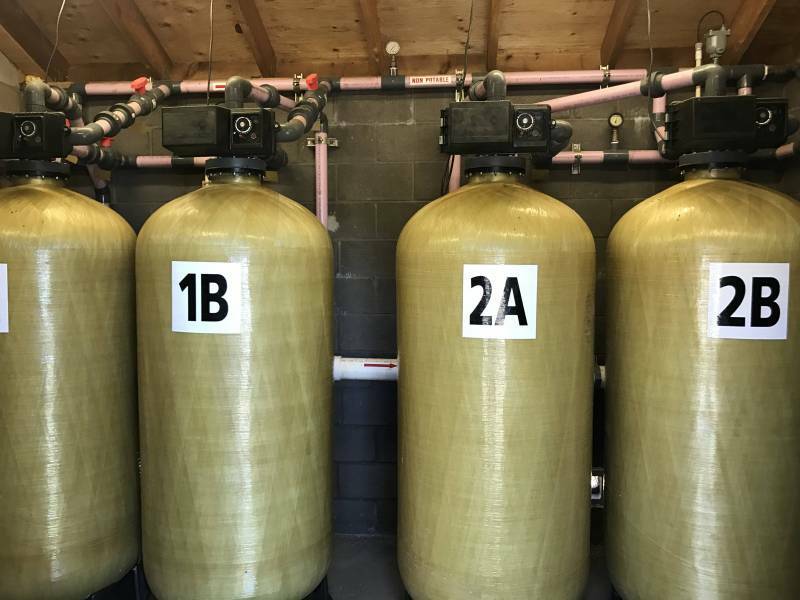 This is just the initial amount allocated for each lot, if it’s found that more or less water is needed, then the water association/HOA can vote to adjust the amount. The monthly payment also goes into reserves for maintenance of the massive system. Each lot has utilities stubbed out at the lot entrance, this includes underground electricity and, as mentioned above, private water. 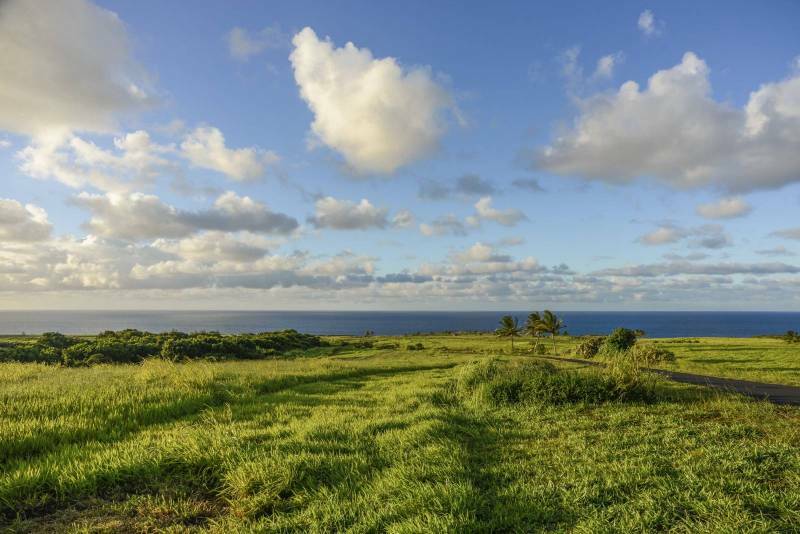 Currently, there is a 75-acre portion of Pe’ahi Farms that is allocated to agricultural purposes. The 75 acres is made up of easements from 6 of the lots, these easement areas are to be in active agriculture. The developer has chosen to leave the farm planted in Mulato Grass (soil building ground cover). The grass is currently harvested and bailed for local livestock. What’s the Plan Down the Road? The plan for the farm area is for it to be used for local farmers wanting to keep food and livestock on Maui for Maui. Crops that have been considered are Samoan coconuts, lilikoi, dragonfruit, pineapple, citrus, etc. There have been conversations about having portions of it available for animals, such as horses or goats. Why Build in Pe’ahi Farms? Each lot has been cleared an leveled with drainage in mind. There are 2.5 miles of private paved roads that come down from the highway to each lot. As mentioned above, the private water is already in place and ready for use. Underground power runs to each individual lot. Probably most important of all, the development has SMA approval. If you are interested in what Pe’ahi Farms has to offer, and are curious about how this community might work for you, feel free to reach out directly. Ask me about the developer incentive program, too. Tim Stice is a REALTOR(B) with Hawai'i Life. You can email me at	TimStice@HawaiiLife.com	or via phone at (808) 268-8511.